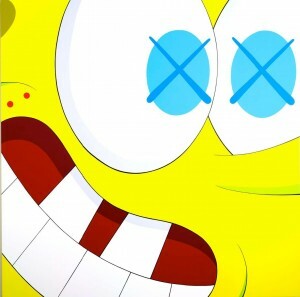 Today Kaws (AKA Brian Donnelly) will open his exhibition “Saturated” at Emmanuel Perrotin in Miami. 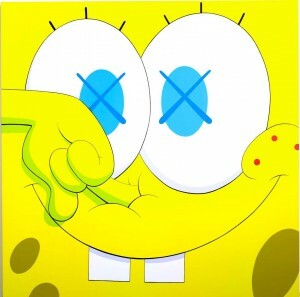 Ending his long hiatus from the gallery circuit, Kaws will make his long awaited return with a gallery known for representing blue chippers such as: Takashi Murakami and Robert Stadler. Curated by mainstream tastemaker and producer Pharrell Williams with works stemming from animation icon “Sponge Bob SquarePants”, Kaws is certainly making a splash with his return to the gallery circuit! We can’t wait to see what he has in store for everyone at this upcoming November 6th show at Gering Lopez Gallery in NYC. 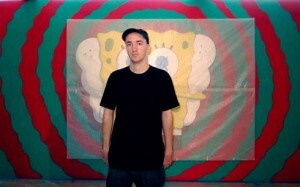 Coming full circle, Kaws has come along way from his New Jersey roots. 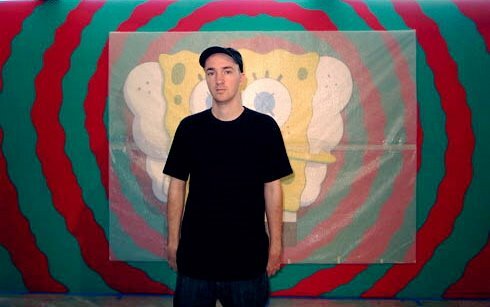 Starting out as a graffiti artist that graduated New York’s school of visual arts to a trend setting vinyl toy designer, Kaws is now on art’s biggest stage and set to expose his style to the fine art scene. His pieces at the “Saturated” show are at a respectable 10-30k range. 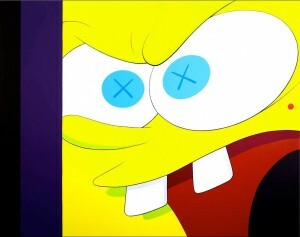 Categories: Art, Previews, Shows & Events, Street & Urban Art. 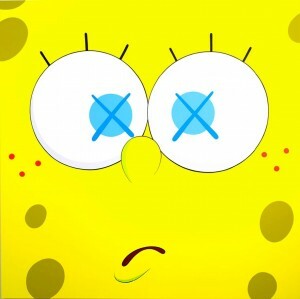 Tags: Kaws, Shows & Events, Street & Urban Art.